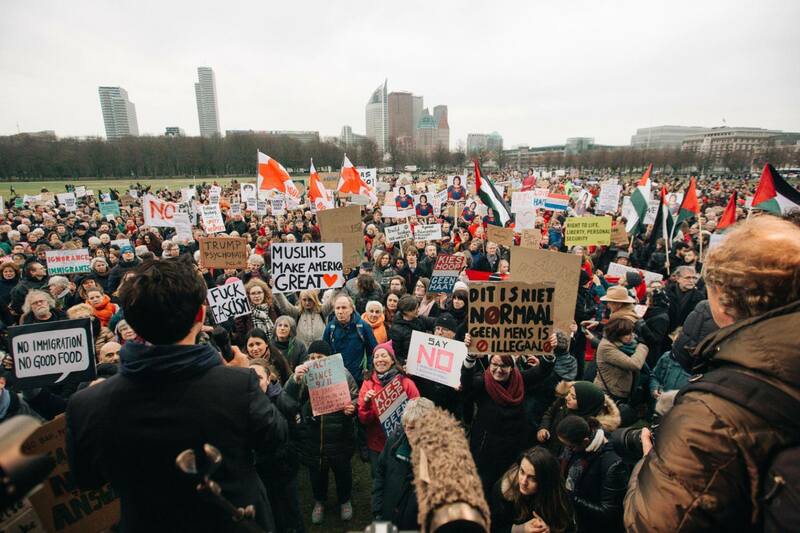 On Wednesday February 1st a few thousand people showed up on the Malieveld in The Hague to protest the newly elected American president Trump and his ‘Muslim ban’ in the Holland Against Hate protest. One of our members, Mikal Tseggai, was one of the organizers of the Holland Against Hate protest. In case you missed all the fuss, President Trump signed an executive order to ban incoming travelers from seven so called Islamic countries (Iraq, Syria, Iran, Soudan, Somalia, Libya and Yemen), which raised a lot of protest. 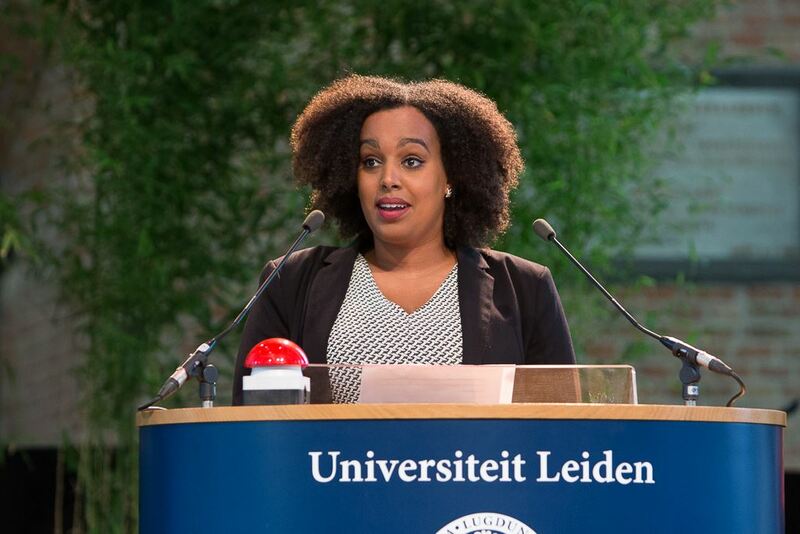 Mikal is currently finishing up her Bachelors in Public Administration at the Leiden University. She is also interning at Team Africa with the Centre for the Promotion of Imports from developing countries (CBI) and is a General Board Member with the local Dutch Labor Party (Partij van de Arbeid) in The Hague. When she was travelling together with friends they got the news that Trump was executing the ‘Muslin ban’. In response they set up a Facebook event, and e-mailed the local police that they were expecting around 50 people. Before they knew it 5.000 people hit the attend button on their Facebook event. They quickly made up a name for the protest, set up a program and some music. Using their own resources and network of politically involved people, as well as people involved in music and entertainment.